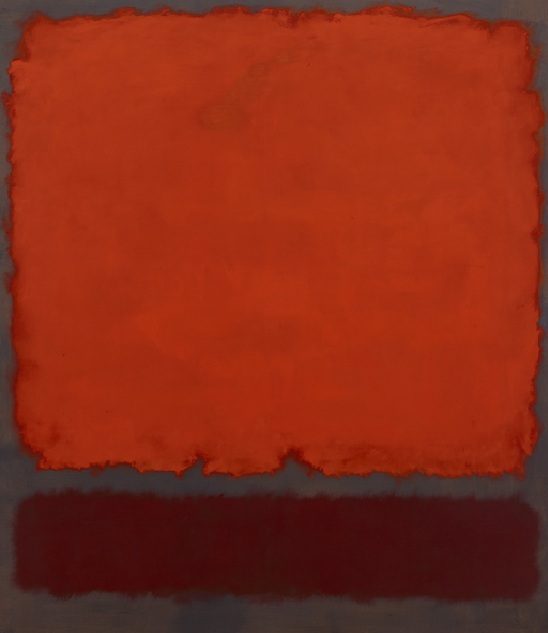 This month’s recipe is inspired by one of my favorite artworks in the collection, Orange, Red and Red. Like Rothko’s work, these muffins are composed of layers that add to a more complex flavor. And with Thanksgiving only yesterday, they’re the perfect way to utilize that leftover pumpkin for a Black Friday breakfast. Enjoy! Preheat oven to 350° F. Line muffin pan with paper liners or lightly spray muffin pan with nonstick cooking spray. Streusel: Stir together flour, nuts, brown sugar, cinnamon and salt in small bowl. 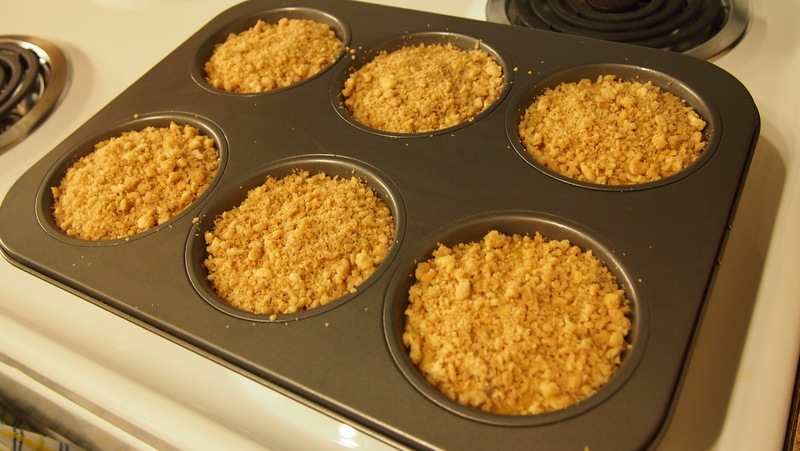 Using a pastry blender or two forks, cut in cold butter until mixture forms into small crumbs. Set aside. Muffins: In medium bowl, whisk together melted butter, sugar, pumpkin, yogurt, eggs, vanilla and ginger until combined. In another bowl, stir together flour, cinnamon, baking soda, salt, baking powder and nutmeg. Add flour mixture to pumpkin mixture in two batches, stirring with a rubber spatula until just combined. Divide batter evenly between muffin cups, filling each cup slightly less than ½ full. Spoon an even layer of streusel into each cup. 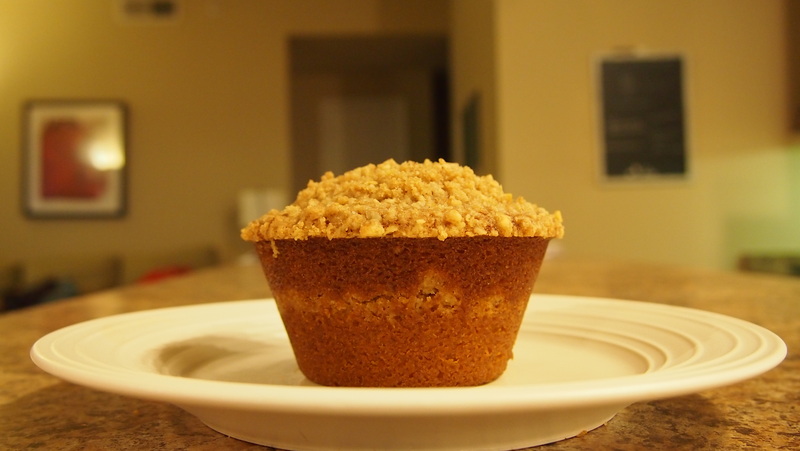 Cover streusel with remaining batter until each cup is ¾ full. Spoon remaining streusel on top of batter, evenly covering each muffin. Bake 18-22 minutes, or until a toothpick inserted in the center comes out clean. Recipe adapted from CHEFS Pumpkin Walnut Bread with Streusel.